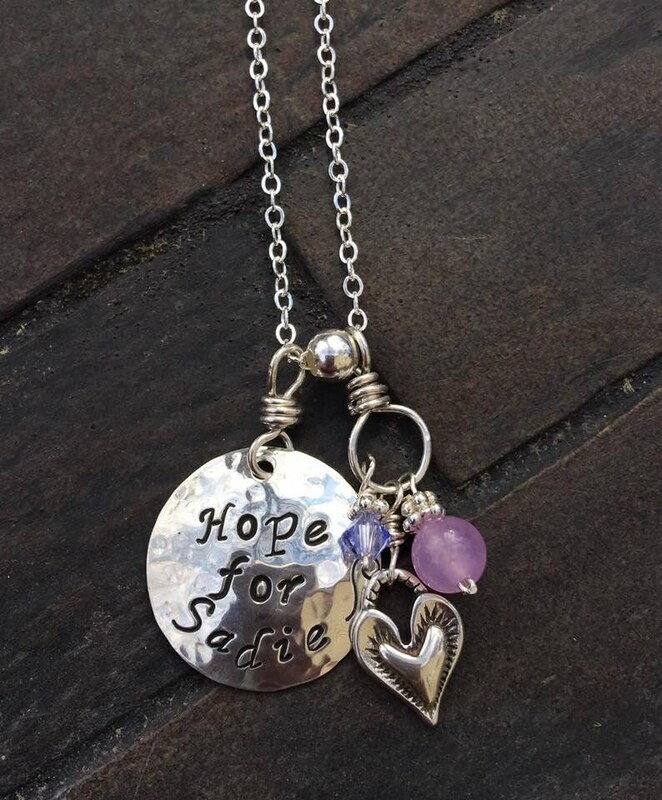 The "Hope for Sadie" Charm Necklace is fundraising necklace. $10 from each sale will go to a child fighting SMA. This necklace features a hand-stamped sterling silver disc with a heart charm, Purple beads (Amethyst and Swarovski crystals). 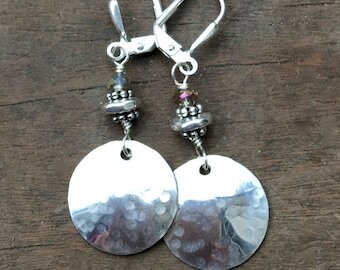 ~ Chain is sterling silver and can be cut to size. Please specify. 16-18" ~ $50 ~ (Please specify) Chains longer than 18" are priced slightly higher. Sadie is a beautiful little 2-year-old and the granddaughter of a dear friend Penny...Sadie lives with SMA - Spinal Muscular Atrophy. Children living with SMA have muscular, spinal and lung weakness. These children struggle to meet "Normal milestones"... Sweet Sadie just spent the better part of the winter at CHOP because she caught a cold.... a cold that turned into pneumonia and her inability to breathe without machines..
I/Mermaid Tears Jewelry recently designed three pieces of jewelry to help raise money for Sadie's care and SMA. 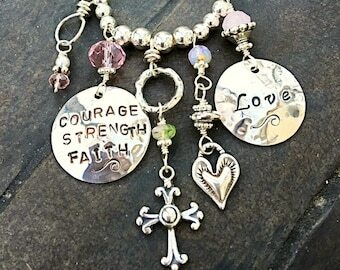 Please take a look at my "Hope for Sadie" Bangles and Necklace. $10 from each piece I sell will donated to this charity.Mermaid Tears Jewelry is hand-created and inspired by the sea. 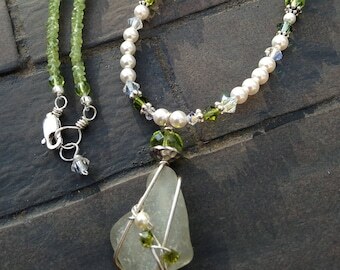 I use the finest supplies including Thailand Hill Tribe Silver, Swarovski crystal, Czech glass beads, freshwater pearls, sterling silver wire and chain, authentic sea glass from all over the world and an array of semi-precious stones.